Robert Walters, an IIM affiliate and courtesy of Mo Hanslod (Head of Interim Management in their London Office) have informed us of an event they are supporting on May 9th at the Victoria and Albert Museum in London. Time from 7pm: dress smart casual. 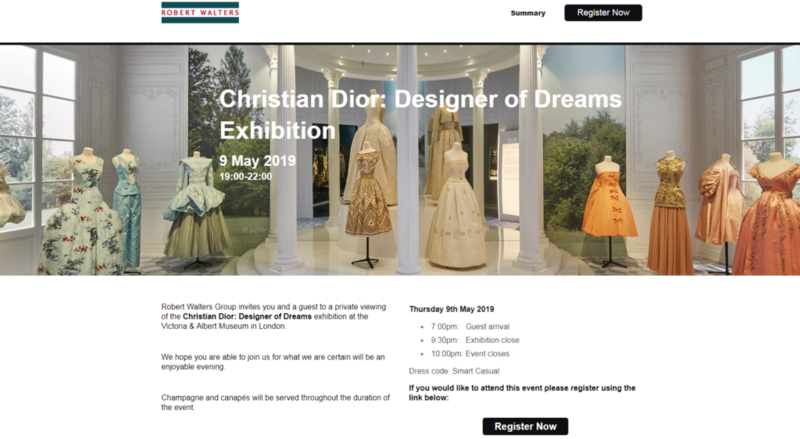 The Robert Walters Group invites you as an IIM member, plus a guest to a private viewing of the Christian Dior: Designer of Dreams exhibition at the V. & A. Champagne and canapés will be served throughout the duration of the event and RW hope you are able to join us for what they anticipate will be a most enjoyable evening.